Most students these days use multiple devices to navigate through their schoolwork, but also to communicate with teachers and each other. If your network solution is weak though, this will make this process even more difficult or in some cases nonexistent. 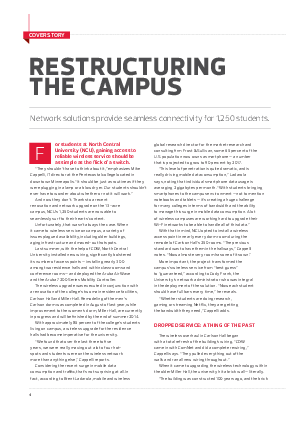 Download this whitepaper to learn how an optimization of your campus network solution will allow a transformation of the student body and see how this will reflect not only in the classroom, but campus-wide.